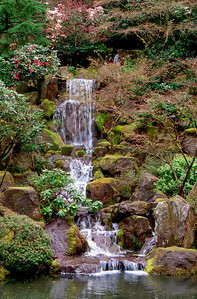 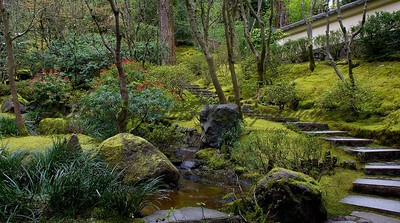 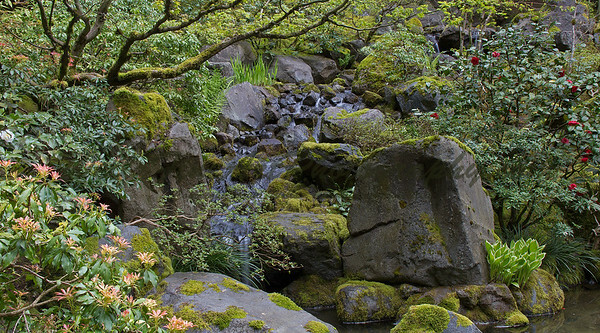 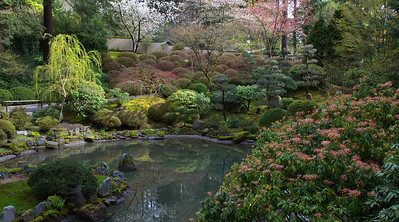 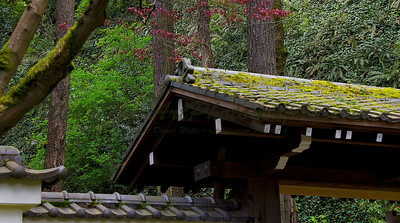 The Portland Japanese Garden is considered the most authentic Japanese Garden outside of Japan. 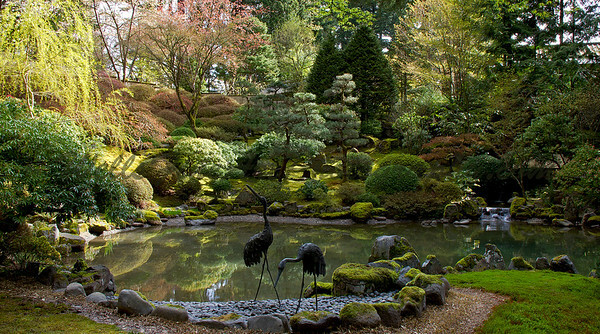 It is stunningly beautiful. 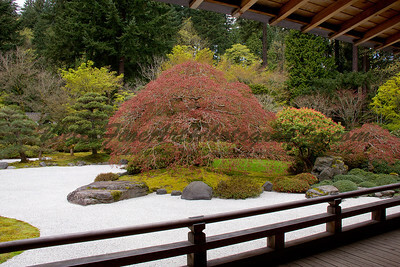 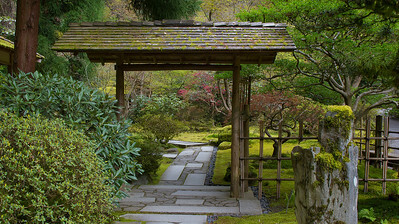 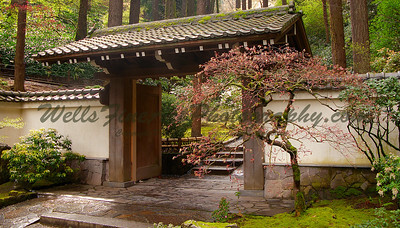 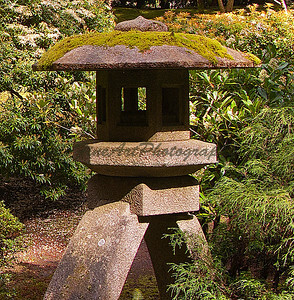 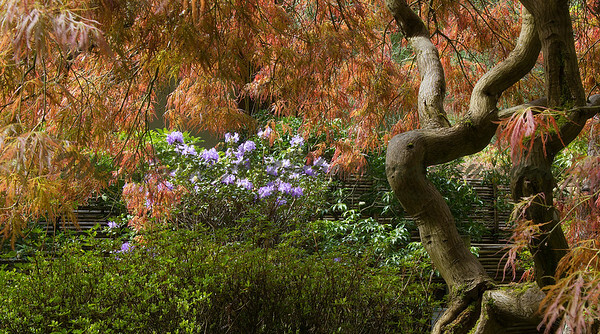 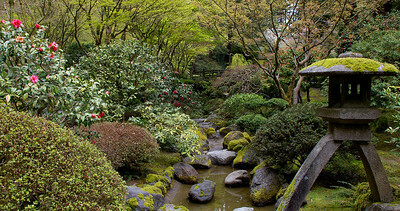 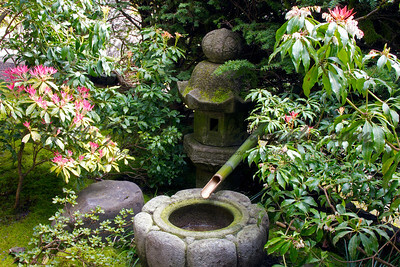 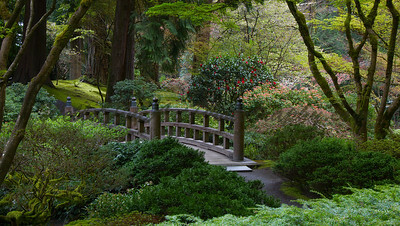 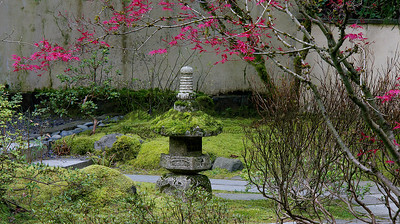 Occupying five and a half acres of hillside bordering the West of Portland, the garden is composed of five separate areas and a tea house that was made in Japan and shipped to the U.S. 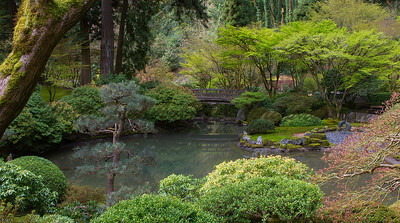 I had only a few hours in the morning to visit the gardens but became a photographer member (despite not living anywhere near Portland) because I wish to display and sell the images I made there. 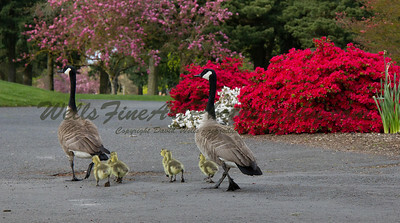 The images of ducks, swans and geese were made at the Charbonneau Country Club, in the Portland suburb of Wilsonville. 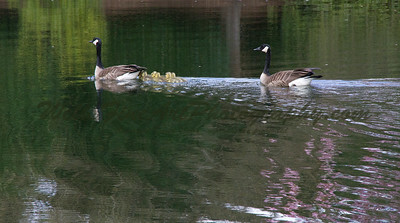 I spent an hour in the late afternoon in a slow speed chase of these beautiful waterfowl. 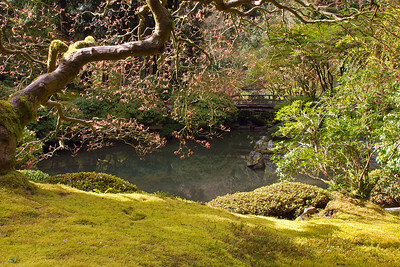 The reflections of the cherry blossoms in the water beside the goslings are some of my favorites.